There are countless decisions you will have to make between getting that bling and your wedding day. You can save time, money, and have some fun by attending a local wedding show! By attending a wedding show, you’re able to get a sense of vendors personalities, ask the professionals questions, and see all the latest and greatest trends in the wedding industry! Even if you are a couple who knows exactly what they want, a wedding expo is still a great place to get special deals and have a chance to win some nice prizes. We wanted to share a few reasons to attend a wedding show, and have included a few tips as well! Putting together the perfect vendor team is important for any wedding, they will be the ones executing your day to perfection! There's only so much you can learn about a vendor from email, a website, or social media. At the show you will be able to meet all different types vendors in one place. This provides a great opportunity to get a feel of their personality and see if you click or not. Making sure you vibe well with your vendor team is important in making the whole process easier and more enjoyable! Tip: Make a list of your vendor needs so you can target them first! You have probably been scrolling the wedding boards on Pinterest and have seen thousands of different wedding themes and trends. Having multiple vendors in one place will allow you to see different styles and trends at once and gives you the chance to ask professionals any questions you may have. Being able to meet and chat with photographers, venues, caterers, DJs, florists, designers, photobooths, planners, and MORE all in one place will save you hours and hours of planning time. While at a show you will see many new and creative ideas that you’ve never seen; sometimes it's love at first sight! On top of professionals being available for you to talk with, wedding shows also produce a fashion show so you can see all the new fashion styles! Tips: -Have a list of questions to ask, it’s easy to forget them! -Keep an open mind to new ideas for your wedding. Who doesn't like saving money and getting free stuff?? 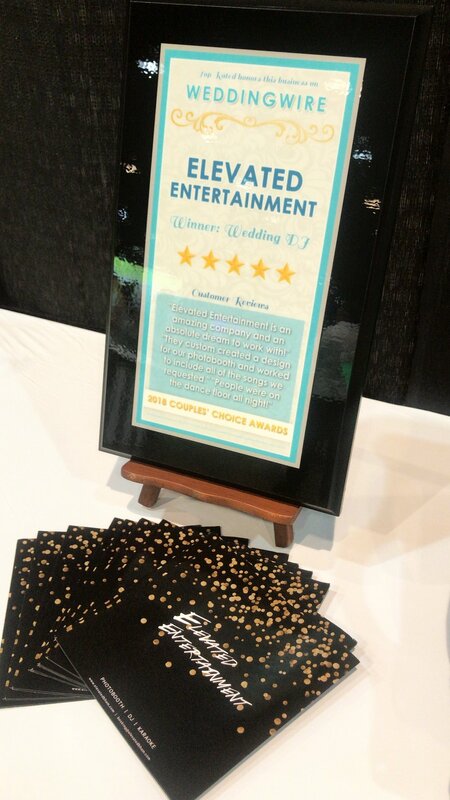 Vendors at wedding shows are often running discounts, specials, and free add-ons for booking with them at the show! Taking advantage of these deals can save you lots of money and add value to your wedding. Wedding shows are also a great place to snag some free swag and delicious food samples. Caterers and cake designers know the best way to make an impression is with free samples of food and cake — yes we said free cake! Other vendors might have cups, bags, and other fun things to give away -- you won't leave empty handed. Some shows will be having raffles throughout the day, these can save you some big money so make sure to pay attention to the announcements and be there for the drawings! Tips: -Be sure to ask vendors if they have any show specials. -Be present during the raffle announcements, you may get lucky! Thanks for reading! We hope to see you soon at one of our wedding show booths! !